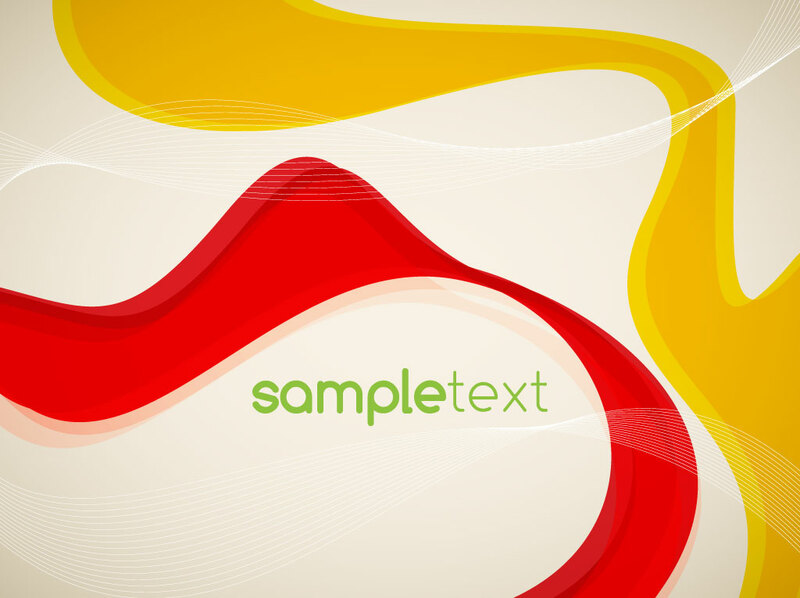 Smoky cream or tan vector background with yellow and red swirls and white wire frame twists. Green sample text is in the lower center of the free Illustrator download for your layout inspiration. Add a company logo or title for a brochure cover, title screen, promotional postcard or business card back. Tags: Brochure, Copy Space, Design Elements, Layout, Poster, Vector Footage.